Driving through Toronto over the Christmas holidays brought back memories of the ice storm Montrealers survived in 1998. Over 300,000 customers were without power, some for as long as nine days, making this the longest in Toronto Hydro’s history. For six days in 1998, more than three million people were without power in Quebec and 1.5 million in Eastern Ontario. About 100,000 people went into shelters, hotels or private homes. I remember it only too well. Perhaps the only person in Toronto to come out as a partial winner from this experience was controversial mayor Rob Ford. Each day he met the media, saying all of the right things and showcasing his recent weight loss. Residents who lost a significant amount of food to spoilage due to prolonged power outages were able to collect grocery store gift cards at one of 15 Ontario Works offices in Toronto. The gift cards were jointly funded by the provincial government and grocery retailers. Over the years I have lost a significant amount of money from power outages and there were no such gift cards to speak of. 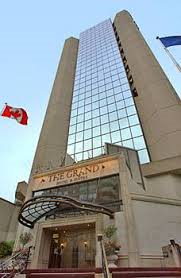 The Grand Hotel and Suites, by the way, is perfectly located at Jarvis and Yonge, very close to the huge Eaton Centre. It has all of the comforts of home, especially junior two bedroom suites which come with all the bells and whistles and a big buffet breakfast included in your daily room rate. Weekdays, a shuttle will bring you anywhere in the area you need to go. One place that did not go dark was the magnificent Prince of Wales Theatre on King Street, where a new presentation of Les Miserables has been playing before capacity crowds since October. Despite the ice storm, shows continued each night and the people kept coming. In fact, Les Mis has been extended a number of times, now until February 2. 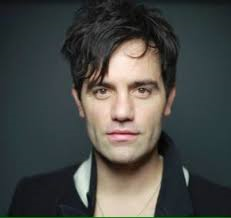 That will be about it because the show moves to previews on Broadway in March, with the superb Ramin Karimloo continuing in the lead role of Jean Valjean. Born in Iran and raised in Ontario, he also played the lead in The Phantom of the Opera and Love Never Dies in London's West End. This is a brand new staging of Les Mis and quite spectacular at that. It is well worth a trip from Montreal just to see this show alone as the only thing to compare it to will be...well the soon to mounted Broadway version. 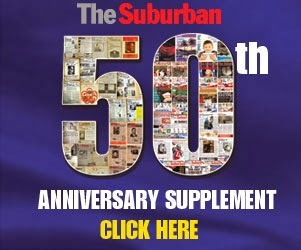 With last year’s motion picture version starring Hugh Jackman still fresh in many of our memories, the restaging of the musical was well planned. It, of course, follows the plight of Valjean, imprisoned for 19 years after stealing a loaf of bread in order to feed his sister’s starving child. Upon his release he becomes a successful man with a new identity, only to be hounded by mean spirited Inspector Javert. He adopts Cosette, orphaned by the death of her mother and the story follows their attempt at a normal life. Canadian Idol fans may recall the name of Melissa O’Neil. She was the 2005 season three winner and has gone on to a musical career on stage. She plays the role of Éponine, the daughter of the trouble-making Thénadiers who originally have custody of Cosette until Valjean steps in. Two other Canadian Idol grads, Aaron Walpole and Elena Juatco, are also in the show. Walpole is the understudy to Karimloo while Juatco is in the ensemble. Montreal native Lisa Horner plays Mrs. Thénadier. Bravo to Mirvish Productions for providing Canada with yet another first class production. And a final note on Toronto. 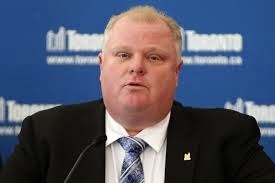 As we got set to depart, Mayor Ford filed his papers to declare he is in fact a candidate to be re-elected next November. “Bring him home!” I say.